Who would have thought you can eat better Indian food outside India then you can in it? 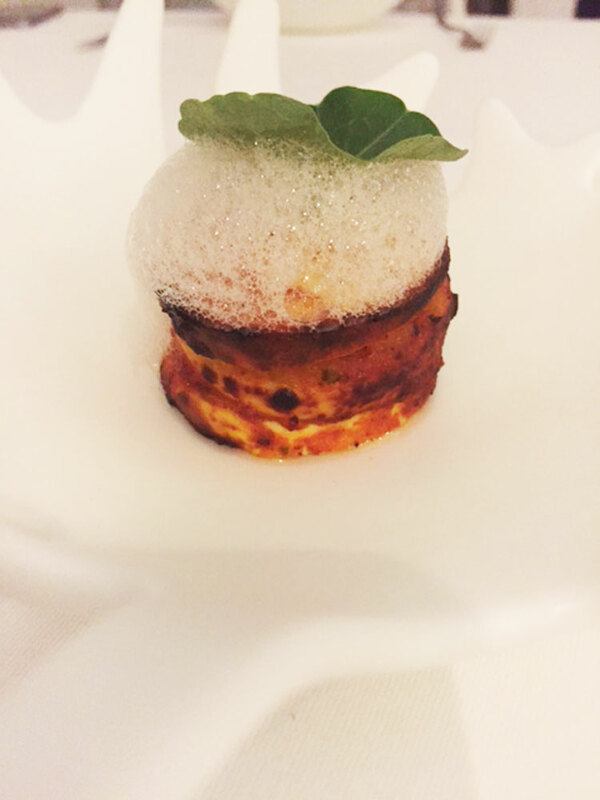 Chef Gaggan Anand certainly makes the impossible possible. 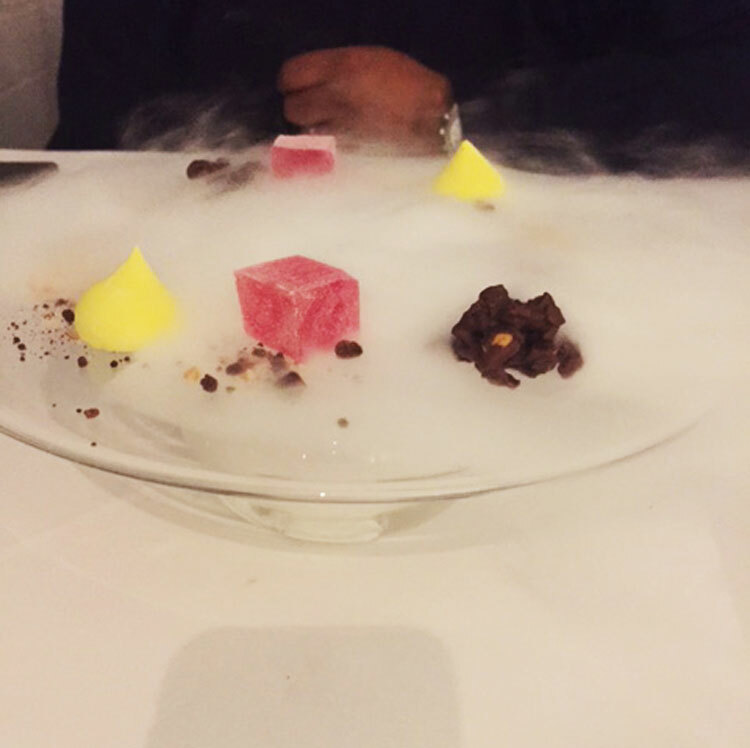 Gaggan Anand needs no introduction, and our decadent meal at his fine establishment was reserved 2 months in advance. 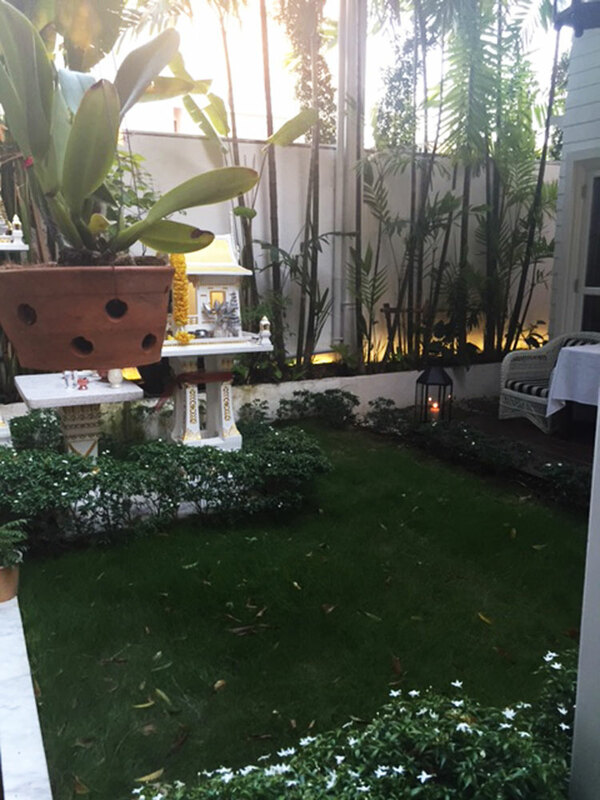 Located in a quaint little street off the main street hustle and bustle of Bangkok, we walked to our dinner date. 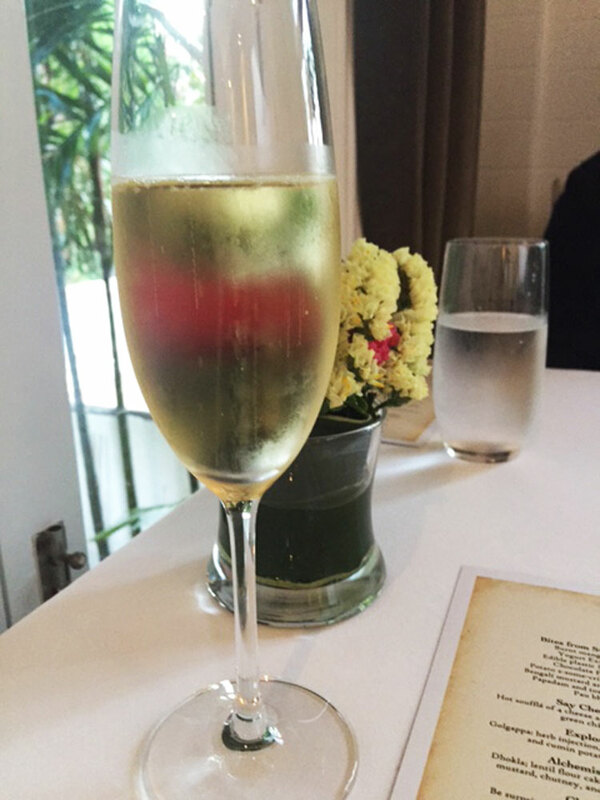 The ambience at Gaggan is pristine in all white, and almost demands that you start your evening with some champagne. We had to comply. 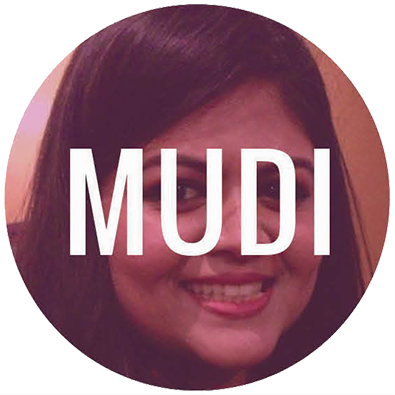 There are about 13 courses, and each course will blow your mind – it is progressive Indian alright! Interesting to note that the vegetarian is just as elaborate as the non-vegetarian. 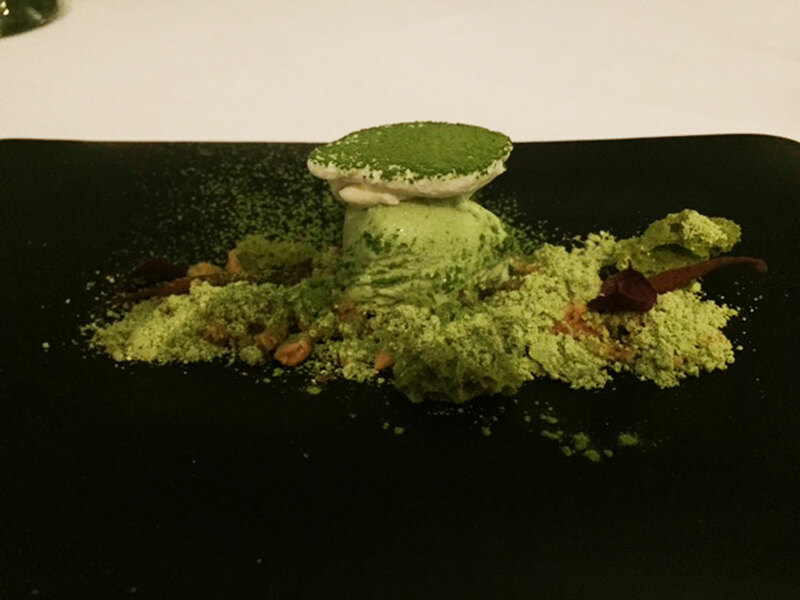 Gaggan stresses on seasonal ingredients, fresh produce, and ‘creating treasured memories out of the emotion of eating’. Exactly what one expects from restaurants in this league. 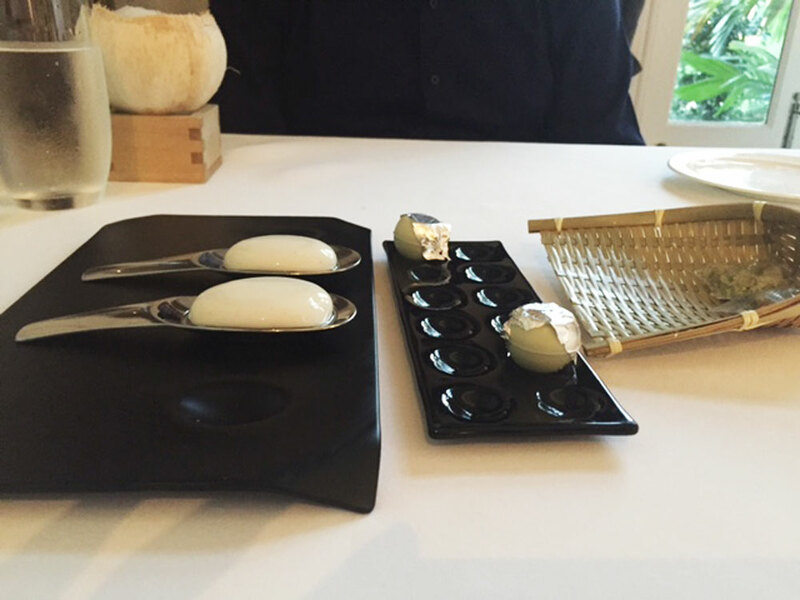 Gaggan’s version of papdi chaat in a spoon, and white chocolate golgappas. 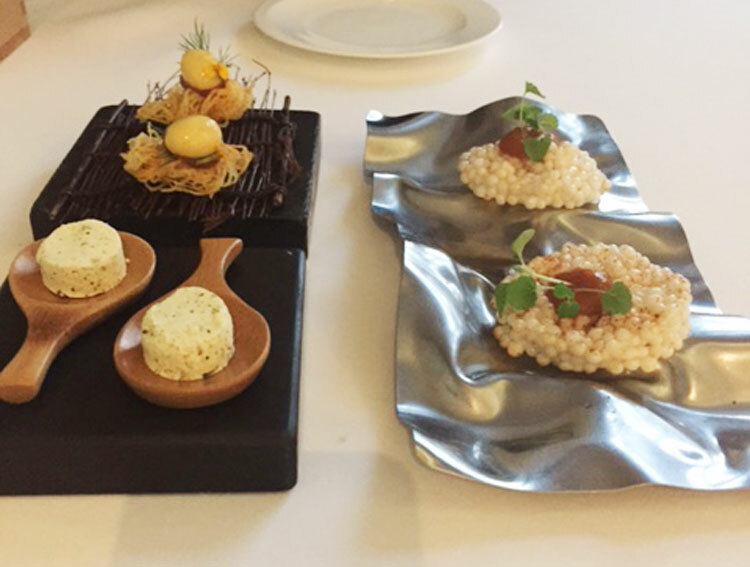 Words cannot do justice to the flavours, technique and beauty of each and every plate of food that came to our table. Even the coconut colada arrived ‘smoking’ and was beyond delicious. Crispy and liquid potato on top (the one that looks like a nest), hot soufflé of 4 cheese and crispy rice cereal. Golgappa with a herb injection and yogurt. 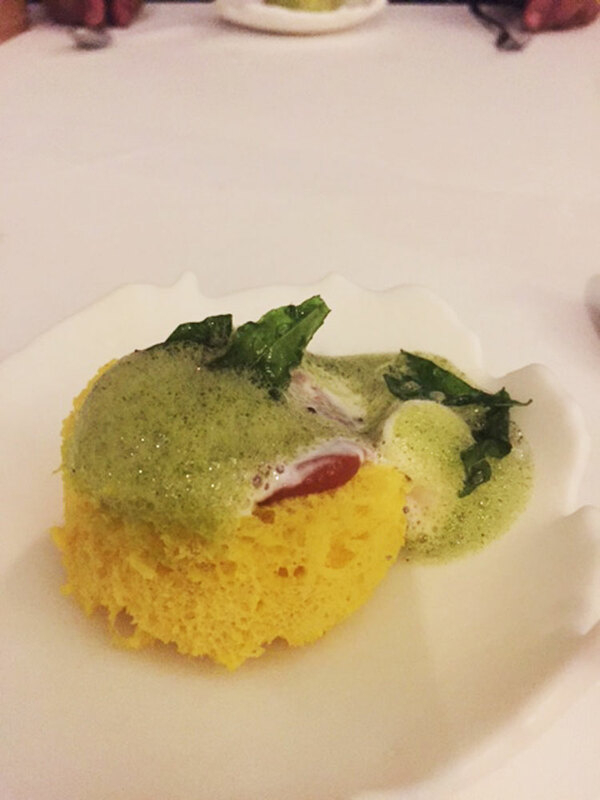 Dhokla with mustard, chutney and coconut ice cream. The paneer tikka, because what Indian meal is complete without it? 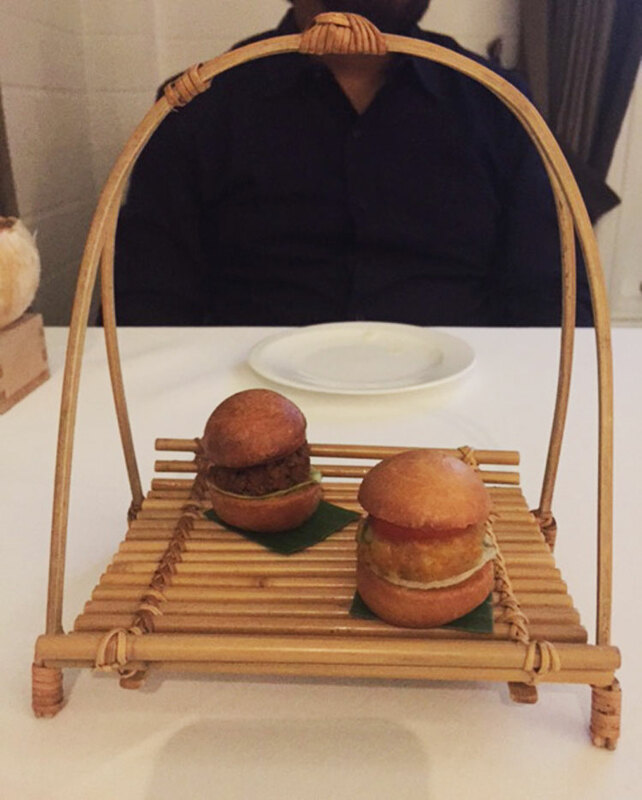 Keema pao and vada pao. 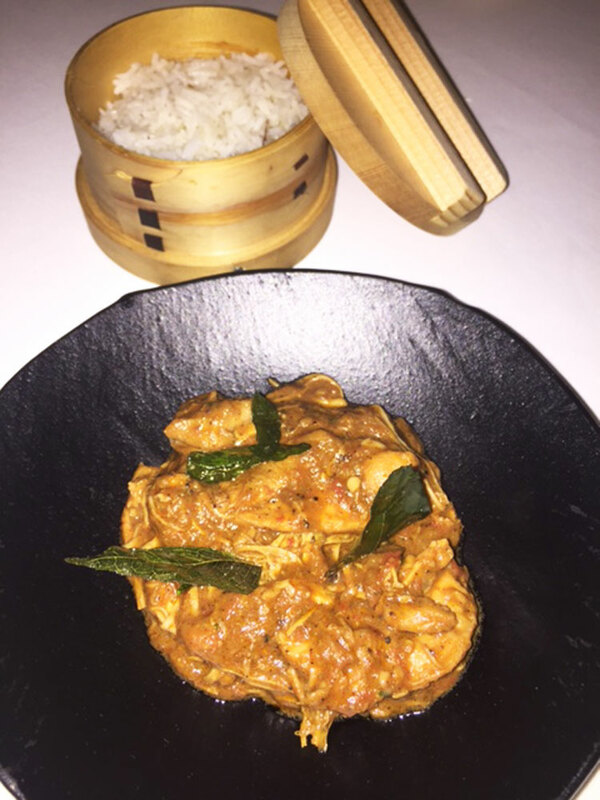 Chettinad chicken with steamed rice. Matcha green tea cake with mascarpone cream and vanilla salt, fresh wasabi. 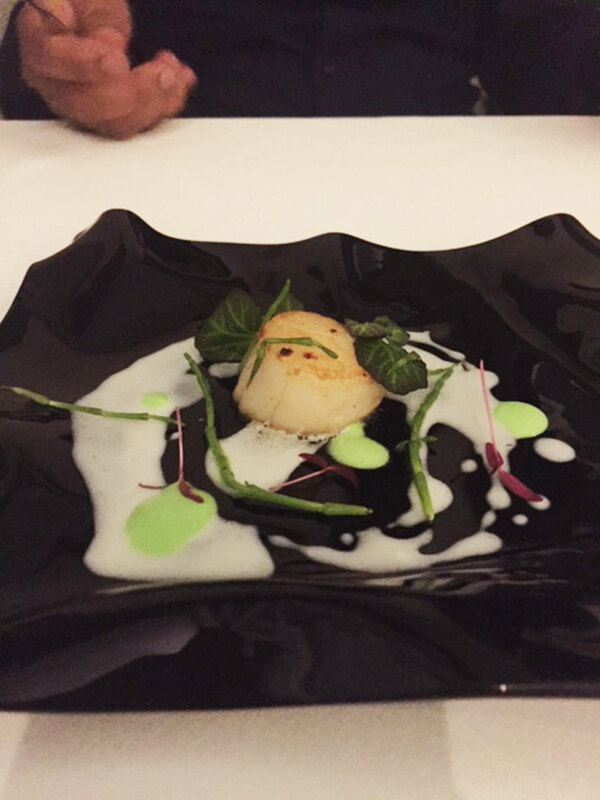 Each dish almost exploded with flavour, and held its own in a battery of courses. 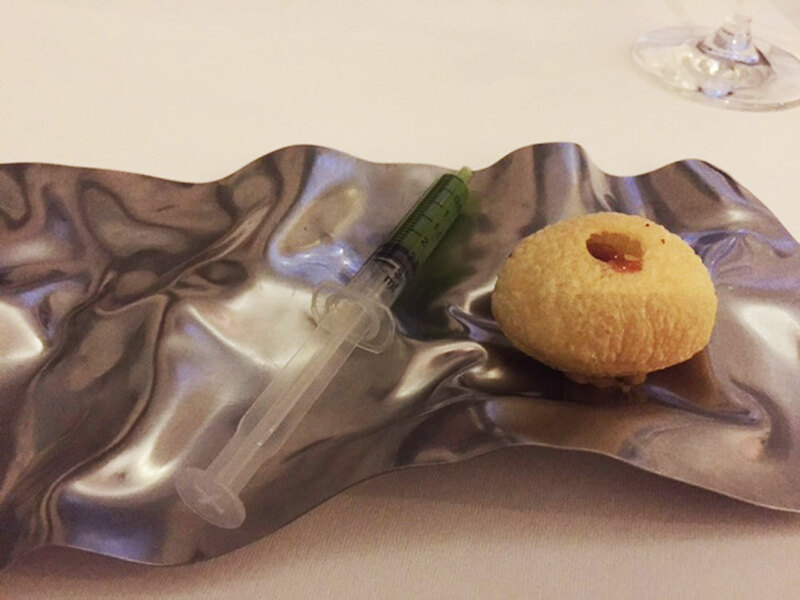 Dining at Gaggan was definitely among the best food experiences I’ve ever had and I can’t wait to go back. 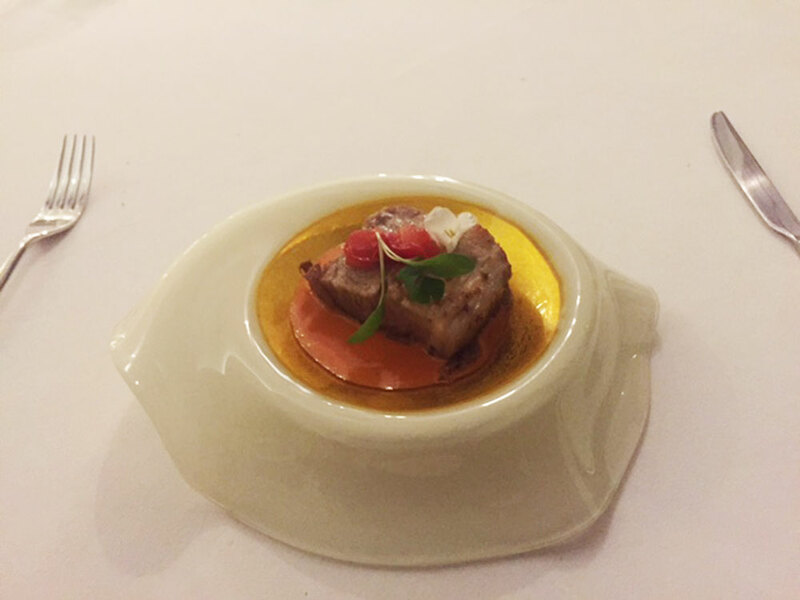 Chef Gaggan Anand – you’re a genius. Gaggan, 68/1 Soi Langsuan, Ploenchit Road, Lumpini, Bangkok 10330. Call them at (662) 652 1700.